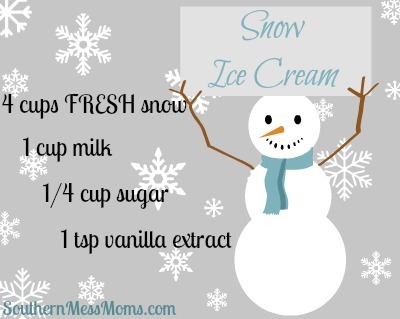 And eat snow ice cream! I don't think I've ever been in enough snow to make snow cream and I'm pretty excited. OOOOO!!! Granddaddy used to make us kids SNOW ICECREAM all the time growing up in SC. Brings back memories. Let me know how it turns out. Enjoy your day off. Glad you don't have to go out today. Enjoy your snow day activities!